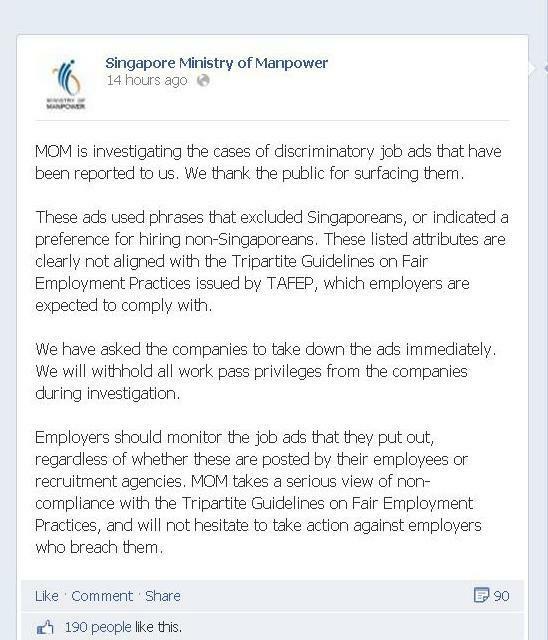 The Ministry of Manpower (MOM) is investigating reports of more discriminatory job ads against Singaporeans. In a statement posted on Facebook, MOM said it would be looking into a number of reports from the public, and have asked the employers to take down any discriminatory job ads immediately. The Ministry also warned employers about the wording of job ads, regardless of whether they are posted by themselves or recruitment agencies. This latest warning comes nearly a month after MOM previously banned 10 companies in Singapore from hiring foreigners temporarily, after they were found to be discriminatory in their job descriptions. The offending companies were instructed to post apologies on their websites for 30 days. 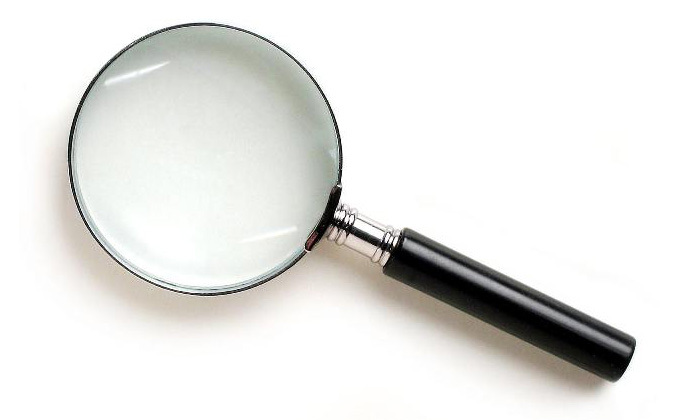 Click here to see which companies were affected, and to read some of the apologies.